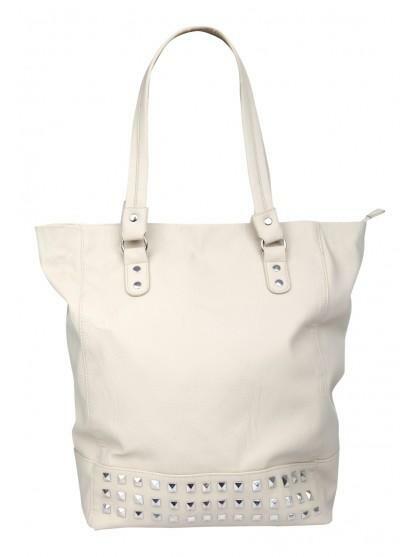 Keep up with the trends with this studded shopper bag. 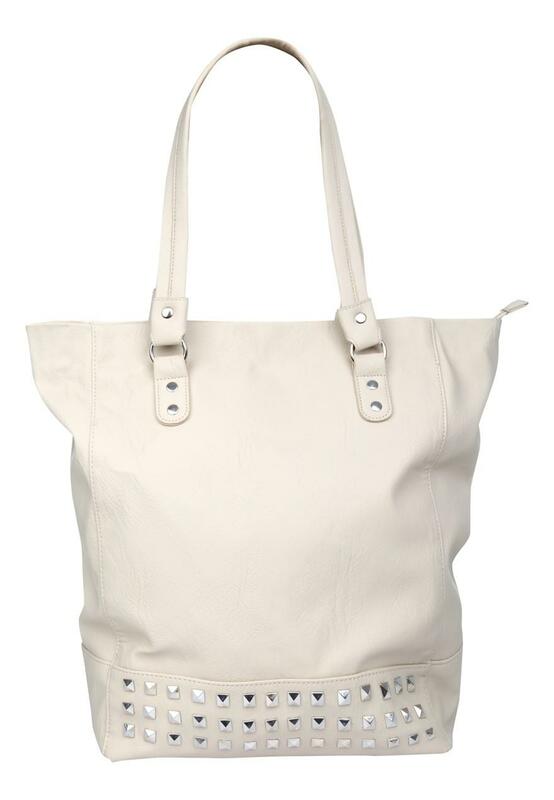 This oversized bag is great for a woman on the go. Featuring a zip top, and two inside pockets. Team this bag with a midi and pashmina.